i like ashish nehra as a bowller. bhai kapil dev punjabi sai..
yuvraj and his father jograj who played for a while are jats from mangat gotra. 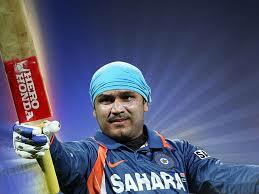 for virendra sehwag you are india jat i am proud of you. It proved a tense nighttime at the Fatorda stadium packed with a deafening atmosphere, skipped opportunities, warmed verbal exchanges between players and staff and 2 great dance clubs on show. As time passes it was FC Pune City that became the first team to beat FC Goa at home and the first team to keep a clean sheet resistant to the best attacking team in the small little league and stop them in their displays.